US president Barack Obama has lifted the ban on HIV-positive people entering the country. The 22-year-old law was one of the most restrictive immigration policies in the world for people with HIV. 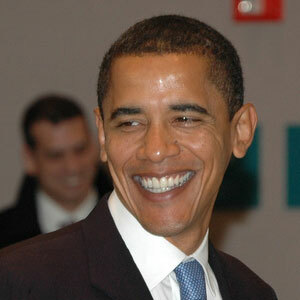 Obama signed a bill on Friday which reauthorised federal funding for an HIV-related healthcare policy. “If we want to be the global leader in combating HIV/AIDS, we need to act like it,” Obama said. The ban had also barred long-term foreign residents from obtaining resident status, purely on the basis of having HIV. Only a handful of other countries, such as Yemen and Qatar, have similar policies on barring entry to HIV-positive individuals. HIV experts have criticised the ban in the past for encouraging people not to get tested out of fear. Obama said that lifting the ban is a “step that will encourage people to get tested and get treatment. It’s a step that will keep families together, and it’s a step that will save lives”. The news was welcomed by the Terrence Higgins Trust, the UK-based sexual health charity. Lisa Power, head of policy at the organisation, said: “Terrence Higgins Trust has campaigned for many years to end this discriminatory policy. We hope its ending sends a strong signal to governments and politicians globally who support such pointless gestures. The US president condemned a number of anti-gay measures in his election campaign, such as the ban on gays and lesbians serving openly in the military and the Defence of Marriage Act, which bars gay couples from a number of benefits enjoyed by their straight counterparts. Although he has spoken out strongly against both laws, gay rights activists have accused him of not moving quickly enough to repeal either.